With only a few weekends until Father’s Day, we’ve put together an incredible line-up of little-known brands that are going to blow you away! All new subscribers to The Personal Barber will get this amazing full wet shaving kit complete with everything the discerning gentleman needs for the best shave of his life, including our signature safety razor and brush. Read on to learn why you’re going to love the items in this month’s box. 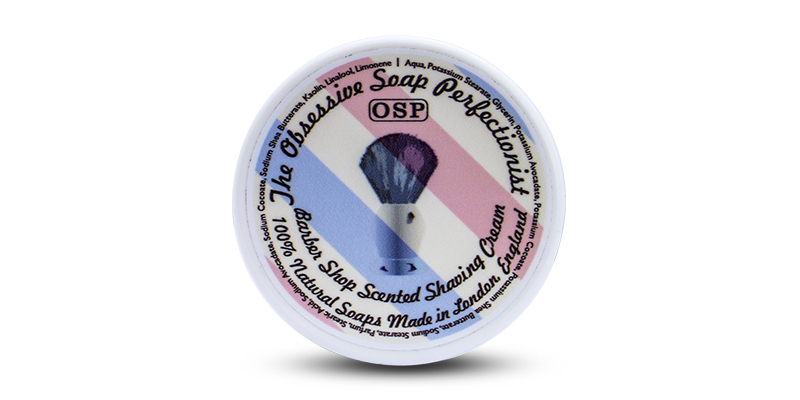 Obsessive Soap Perfectionist is a small independent brand, founded in 2015, that specialises in artisanal shaving soaps made with an emphasis on 100% natural ingredients. Every soap is lovingly handmade in small batches to the highest quality, in a process that takes a full month from start to finish. The name comes from the gruelling process James, the founder, went through to create the range without using any nasty chemicals and without compromising on quality. After reams of feedback from the wet-shaving community he was finally able to formulate a product he was pleased with. From your first shave you’ll probably agree it was worth the effort! This shaving cream whips up into a beautifully rich lather that envelops the senses with a heady fragrance of lavender, bergamot, patchouli, cedar wood and a touch of basil. It’s a classic manly scent that remains throughout, for a very satisfying shave. To use: Take an almond size lump of cream and press it into your bowl or hand to increase the surface area as much as possible. Using a slightly damp brush, start building your lather as normal. This aftershave tonic is designed to immediately care for your skin at the end of a shave. Made with only 3 ingredients, the alcohol and pure witch hazel act as antiseptics that tend to any imperceptible cuts or nicks you may have received during your shave. 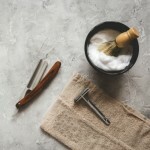 Most wet shavers love using a tonic for the sharp sting that jolts them awake in the morning, readying them for the day ahead. We’re a fan of the sharp sting for a different reason, it tells us that there are still areas to improve in our shaving technique! Even if you think you haven’t cut yourself, if you’re getting a stinging feeling it means that there were some tiny cuts you can’t see. Keep honing your technique until you’re able to splash on the tonic without feeling a thing, the perfect sign of a job well done. The third ingredient is the parfum. We especially love how this tonic has the same matching fragrance as the shaving cream so you can continue your day with the classy, masculine barbershop scent. 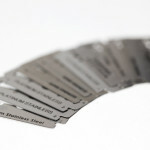 It’s made to be a subtle fragrance so you won’t have to worry about it being overpowering, just enough to get noticed. 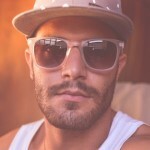 To use: Cup your hand and had 3-4 drops of aftershave tonic before slapping against your face and gently massaging in. Only a few drops are needed so be careful not to add too much as they come out quite fast. Based in Yorkshire, this new British male grooming brand was formed in late 2015 and has been making waves ever since. 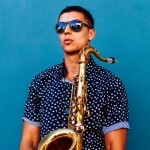 The name, Harum Scarum, comes from an old world term meaning scarily outrageous youth. Don’t be fooled by the simple branding, Harum Scarum are a little known gem in the wet shaving world. They own their own factory and are responsible for manufacturing shaving products for some of the biggest brands produced in the UK. 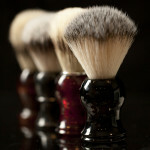 With this knowledge they have been able to make their own range of impeccably crafted grooming goods. Their post-shave balm is a perfect example of them using their expertise to devise a new formula; one that not only soothes and hydrates the skin but also seals any shaving nicks, protects against irritation and leaves you smelling incredible. The classic barbershop inspired fragrance has top notes of bergamot and citrus lemon combined with cinnamon, nutmeg, cardamon and a touch of basil and rose blossoms. Finally sinking into the musky base notes of cedar wood, sandalwood and soft vanilla. It’s the perfect complement to the OSP products also featured in this box. To use: After your tonic has had a moment to sink in, take a small dollop of balm and massage it into your whole face, focusing on the recently shaved areas. 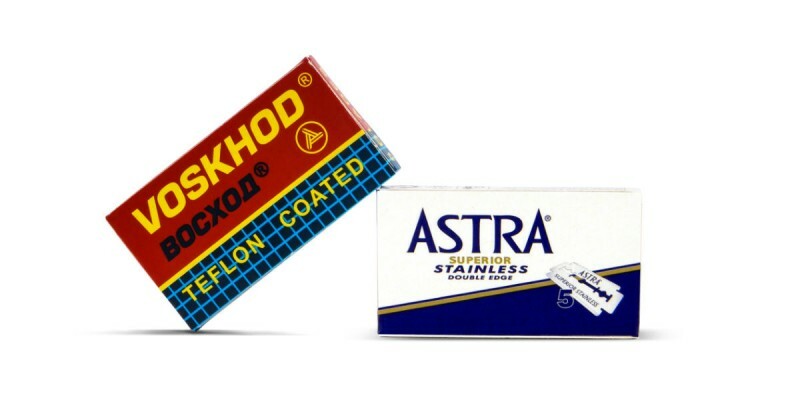 Astra are a very well known brand and a favourite for many wet shavers for giving a strong all-round performance with a great finish. Originally manufactured in Czech Republic, they are now made in Russia. This is their stainless steel variant which is coated in PTFE rather than their platinum version. The difference in coating alters how it glides along the skin and how smooth it feels post-shave. Each blade will last a minimum of 3 shaves for thick beards, lighter beards can get up to 7 shaves before noticing a drop in performance. Another favourite amongst seasoned wet shavers. 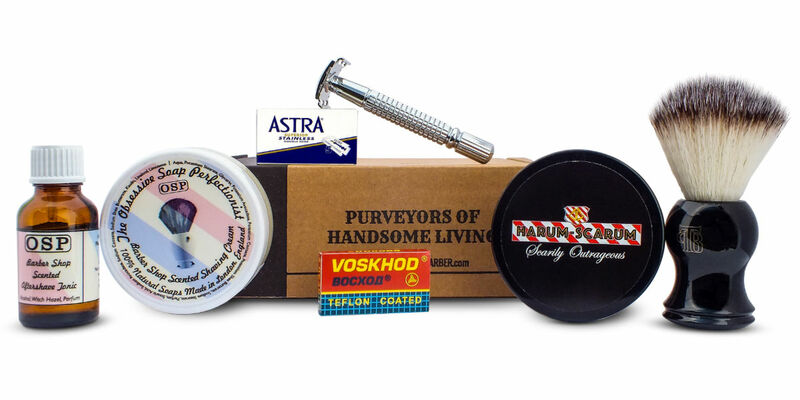 Voskhod are also manufactured in Russia and give great shaves for all beard types. A relatively sharp blade with a smooth finish. Lasts 3-7 shaves depending on beard thickness. May Subscription Box: Get Your Groom On!